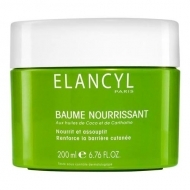 DESCRIPTION: Eau dÉclat from Elancyl is a Guarana extract caution water to give more energy. This beauty care brings light to the skin, and is like a perfume of energy to the spirit. It is rich in Guarana, an active plant ingredient with stimulating properties, that gently perfumes the skin, providing freshness, for a radiant and luminous skin. 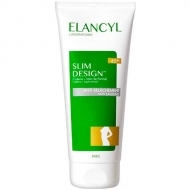 Complete Formula: Water (Aqua), SD Alcohol 39-C (Alcohol Denat), Citral, Citric Acid, Citronellol, Disodium Phosphate, Fragrance (Parfum), Geraniol, Hexyl Cinnamal, Limonene, Linaloool, Maltodextrin, Paullinia Cupana Seed Extract, PEG-40 Hydrogenated Castor Oil, PPG-26, Buteth-26, Propylene Glycol, Sodium Hyaluronate.